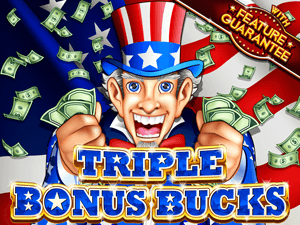 NuWorks release new slots machine game called Triple Bonus Bucks on April 8th 2013. 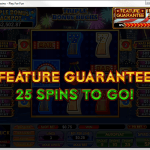 The new slots machine game is a classic 3 reel style slot machine with an American theme. The reels are full of apple pies, cherries, and when the Wild Uncle Sam appears on the reels the slots player receive double the prize instantly. The bonus can award up to 13,500 times a slots player bet. I recommend playing this new NuWorks slots game at BuzzLuck Casino and enjoy the 4th of July every day of the week.